2,000 Banking Customers Have Spoken! CSI recently commissioned an online survey of more than 2,000 U.S. adults to learn about their banking habits and expectations. 86% of all Americans say they are happy with the current digital banking offerings available through their bank. This figure varied only slightly when broken down into age and socio-economic groups. 85% of Americans want all their branch needs met by a single banker, at the initial point of contact. 83% of Americans want advice from their institution toward reaching their financial goals. 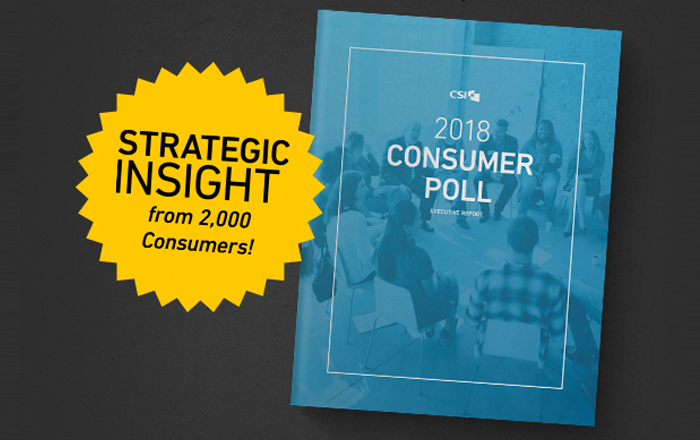 To learn more, get the Full Executive Report: CSI Consumer Poll 2018.